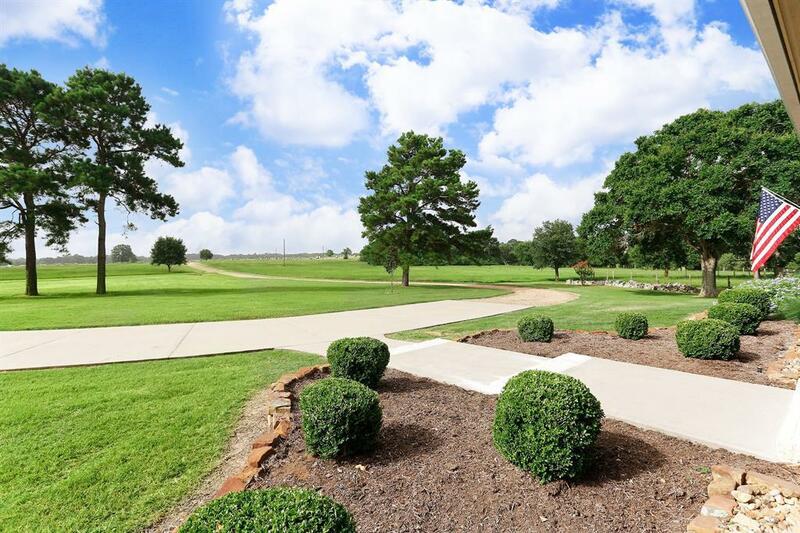 A beautiful ranch with 50.144 acres of improved pastures, mature trees, and stocked fishing pond. Manicured! Gorgeous stone home with inviting porches and pretty landscaping. Master suites downstairs and upstairs and nice guest suite. Guest suite upstairs with office. Large detailed baths have showers and tubs. Kitchen has 2 subzero refrigerators, large gas range with 2 ovens, pretty granite counter space with island, and beautifully designed cabinetry and large laundry room/Butlers pantry. Powder room nearby. A large dining room with fireplace, private living room, cozy study and powder room. 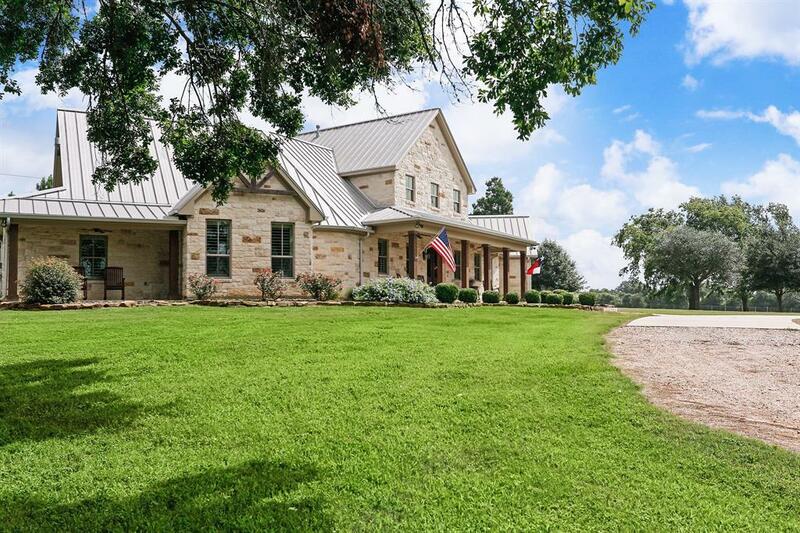 Home has exceptional features and finishes, travertine marble and walnut wood flooring throughout. 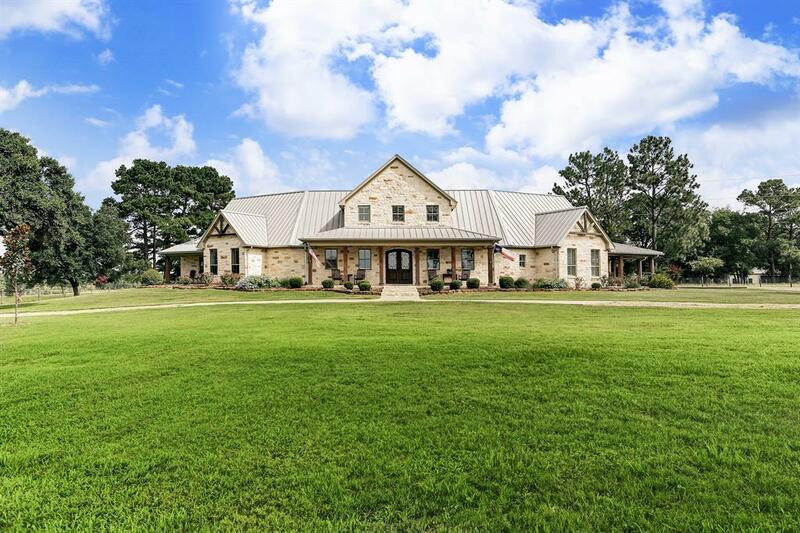 Horse barn with 8 stalls, AC tack room, wash rack, storage areas; perfect for equine enthusiasts. Barn is versatile for many disciplines. Overhang area for equipment. 2 bedroom, 2 bath guest house with stained concrete flooring, nice kitchen. Large lighted riding arena near barn.